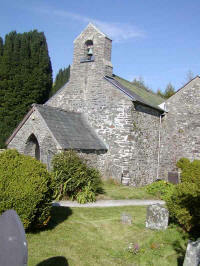 Llanfihangel Rhos Y Corn Church is the most ancient of our churches. The oldest part of the church was built in the 13th century. The second nave was added c. 1500. The church is set high on the mountain and it lends itself to a quieter meditative style of worship. 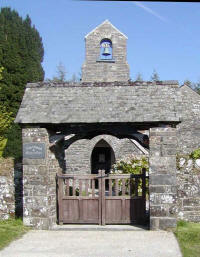 The Lych-gate was added to the church in the late 19th century. Our Church building continues to develop but we are conscious of maintaining our links to the past. The church was recently rewired but there is still much repair and maintenance work to do. The church is surrounded by beautiful woodlands, farmland and valleys. 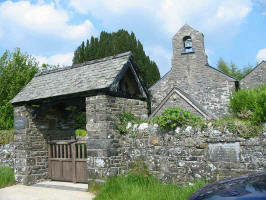 Llanfihangel Church is developing its ministry to visitors and tourists through the labyrinth, refreshment tabe and prayer pebbe pool. To this end we have displays of some of the things we do in the church and displays to aid prayer and meditation .Historically, Llanfihangel was a place of pilgrimage. Pilgrims climbed the steep 'Rhipyn seimon' hill and would kneel to pray on a large flat stone from which they could first see the church. The fields around became known as 'Cear Paderau Bach' the fields of little prayers. Harvest is always one of our big services because we are a rural area. 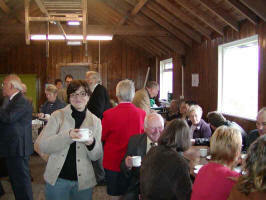 After the service we have tea in the church hall. Christmas is another busy time in Llanfihangel Rhos Y Corn. 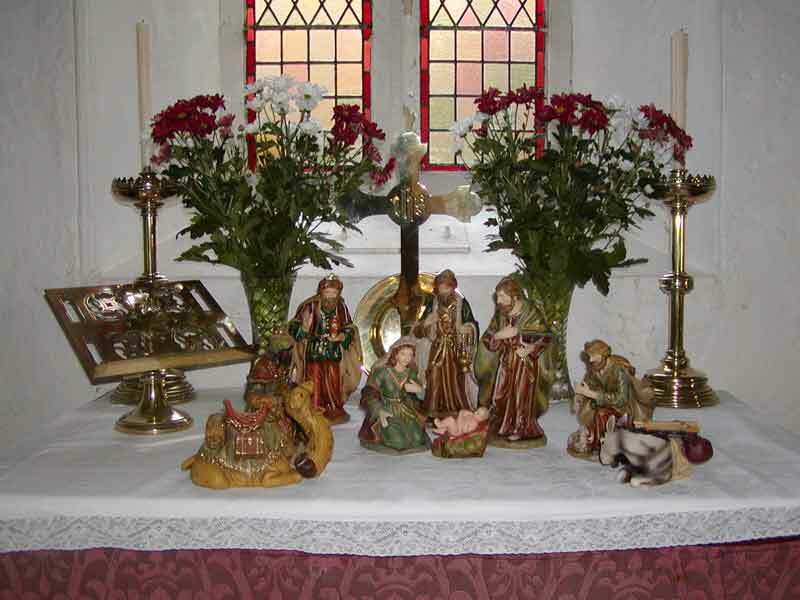 We hold midnight mass starting at 11:30pm in the church, plus carol service and childrens party. Map showing how to find us.